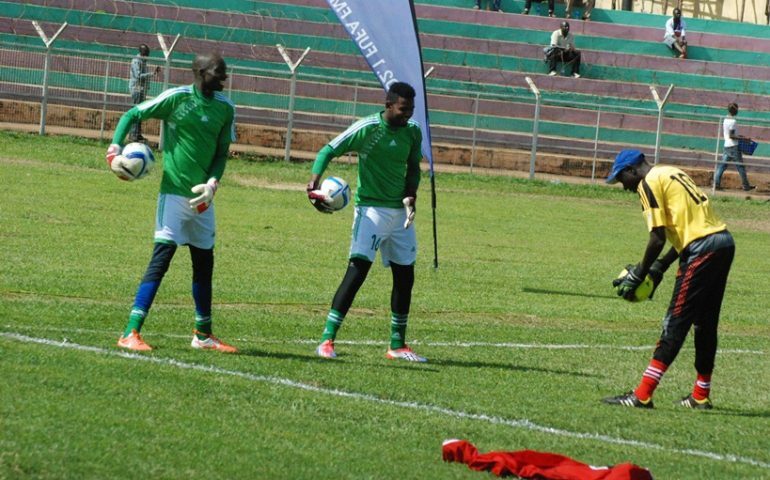 ARUA – Former KCCA FC and Uganda Cranes goalkeeper, Sadiq Wassa has been handed a role at Arua based side Onduparaka FC. Wassa who is arguably one of the finest shot stoppers this country has ever produced will be in charge of the goalkeepers at the Caterpillars. He has been without a day to day role after resigning from his role at URA FC over a year ago. However, he is also the U23 goalkeeping coach. He boosts of an elite CAF goalkeeping certificate attained from Cameroon as well as a CAF ‘B’ coaching licence. Wassa signed a three year’s contract and boost Onduparaka’s technical department that already has veteran Leo Adraa and Simeon Masaba. He is believed to have started his duties last week as Onduparaka FC drew 1-1 away to Bright Stars in the StarTimes Uganda Premier League. The Catarpillars are currently 6th on the log with 25 points from 16 outings. On Tuesday, they are away toKCCA FC at the Star Times Stadium, Lugogo.